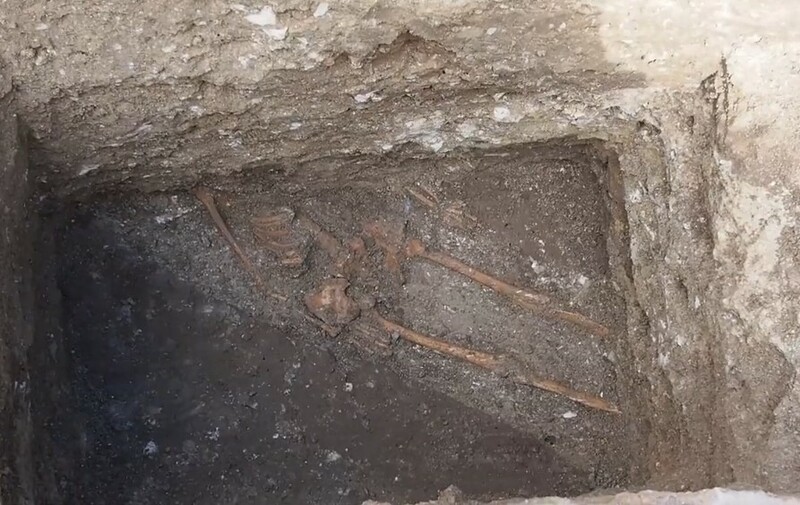 The allegedly “tall man" whose skeleton of an allegedly tall man has been discovered under the fortress wall of the ancient city of Odessos in Bulgaria’s Varna during rescue excavations has turned out to have been “only" 165 cm (about 5 feet 4 inches) tall, lead archaeologist Valeri Yotov has announced. Ever since the skeleton’s discovery on March 17, 2015, Prof. Dr. Valeri Yotov from the Varna Museum of Archaeology has been seeking to convince the media and passers-by in the downtown of the Black Sea city of Varna that the seemingly tall man’s skeleton was really not such an important discovery compared with the Late Antiquity fortress wall under which he is lying, and that the ancient man was certainly not a “vampire" or an “Atlantis giant". The stories about the “giant" man have been fueled further by the fact that the archaeologist did not excavate his skeleton in full for more than 12 days, and, respectively, have been unable to measure him, and announce his size. On Saturday, March 28, 2015, however, Yotov told local news site Varna Utre that the actual size of the ancient man turns turns out to be modest – “only" 165 cm, or about 5 feet 4 inches. Yotov has also announced the discovery of three more skeletons nearby which has led the Varna archaeologists to completely change their working hypothesis about the finds, as they now believe they have discovered an ancient necropolis under the Late Antiquity fortress wall of Odessos (known in Roman times as Odessus) which is older than the fortress wall itself. They previously believed that the man in question, whose skeleton is dated back to the late 4th century or early 5th century, was probably a construction worker who died during the construction of the Odessos (Odessus) fortress wall, possibly from a work-related incident, and was buried right on the spot, in a deeper pit dug up for construction purposes. The archaeologists from the Varna Museum are yet to study the newly found ancient necropolis in depth, and to try to figure out why the Late Antiquity fortress wall, which is just one of Odessos’s several fortress walls dating from different time periods, was constructed on top of a cemetery. However, more answers will probably come in the fall of 2015 as the rescue excavations in the Varna downtown will be frozen for the summer tourist season. Read more details about the newly found necropolis in Bulgaria’s Varna.